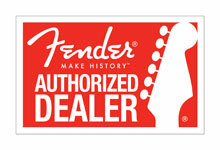 Possibly the last one available with factory warranty and pepper grille cloth. This is the floor model, with full two year warranty. 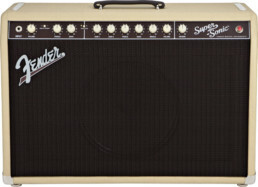 After years of painstaking research and design, we’re proud to introduce the Fender Super-Sonic amplifier–the first Fender all-tube amp to capture the highly desirable sparkly tones of the ’65 Vibrolux®, the thick tone of the ’66 Bassman®, and the smooth and creamy crunch of modern, high-gain amplifiers. The Super-Sonic amp lets discriminating players capture industry-standard Fender clean tones, bluesy “pushed” tones and modern high-gain tones in one easily portable all-tube amplifier. 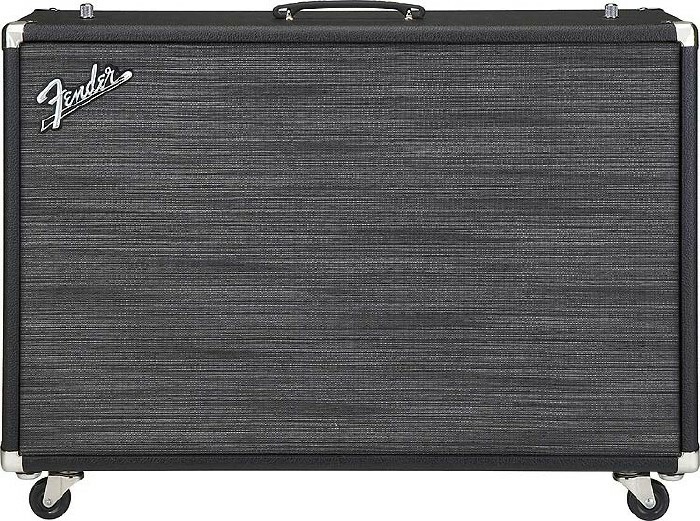 The Super-Sonic 212 Enclosure–here in its cool “Black/Pepper” incarnation–is the partner of the 60-watt Super-Sonic Head and features a pair of 12″ Celestion® Vintage 30 16-ohm speakers and high-grade Baltic birch ply construction for increased resonance. Casters and cover included.